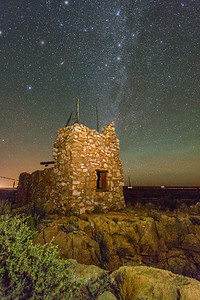 A late night Milky Way look at one of the abandoned structures near the petting zoo at Two Guns, Arizona. 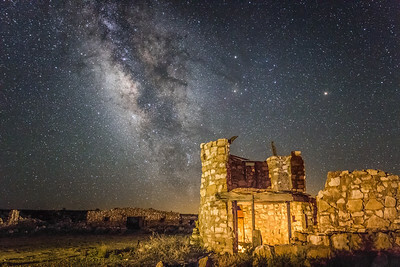 The Summer Milky Way lofts over the abandoned zoo at Two Guns, Arizona. 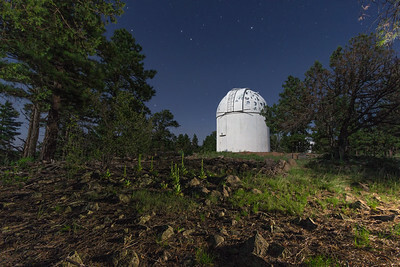 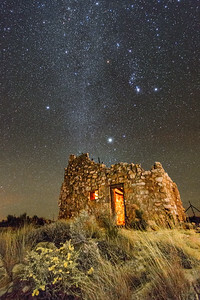 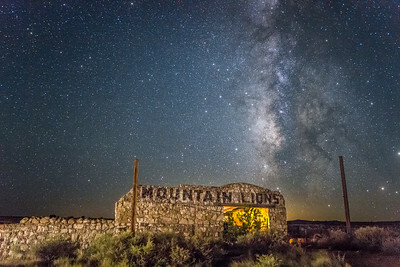 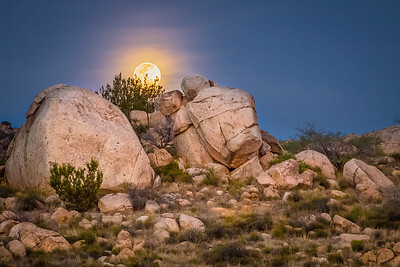 This midnight visit to the abandoned petting zoo at Two Guns, Arizona features the Summer Milky Way, Saturn and Mars. 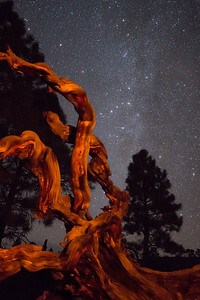 Mars is the bright orange 'star' on the right side of the image. 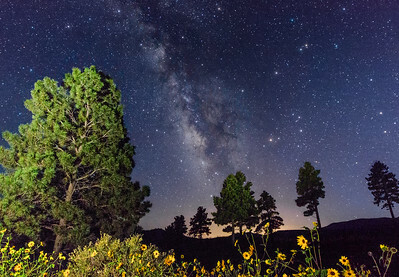 Saturn is the bright white 'star' to the right of the Milky Way above the bright orange star, Antares. 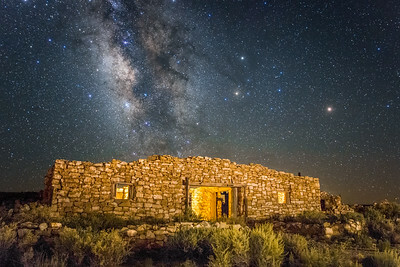 This photo is a blend of three exposures to reduce noise in the sky and combine the best of the lit interior rooms in the structure. 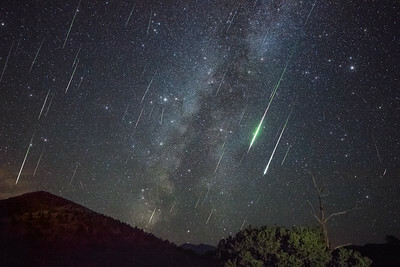 The 2016 Perseid meteor shower was excellent from dark skies during the early morning of August 12th. 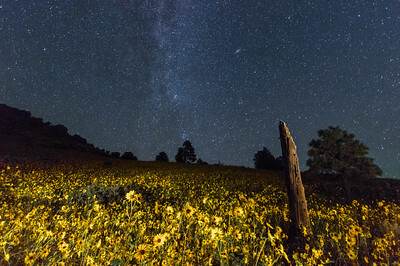 This is a composite of several exposures shot over nearly 2 hours between 2:36-4:29AM (0936-1129 UT). 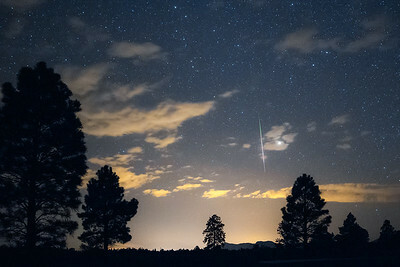 There are 48 Perseids—including two spectacular fireballs—and 5 sporadics included in the shot. 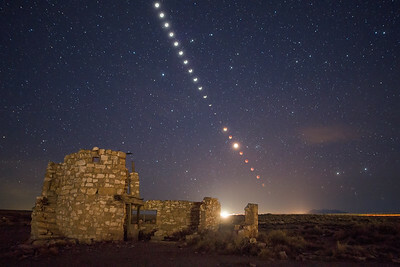 Each shot has been de-rotated/repositioned to account for Earth's rotation and to align the meteor to the star field that it crossed at the time of the exposure. 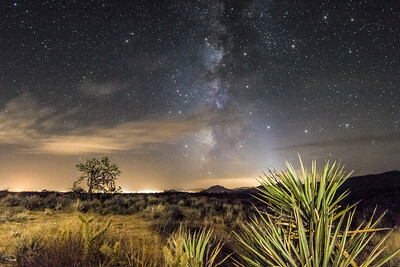 All but four of the exposures were shot with a Canon T3i/600D and Rokinon 16 mm f/2 at 10 seconds, f/2, ISO 3200. 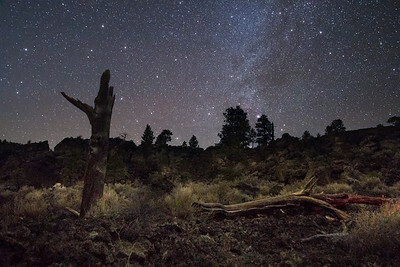 The remaining four were captured by a Canon T3i/600D and Canon EF-S 10-22 mm at 10 seconds, 10 mm, f/3.5, ISO 6400. 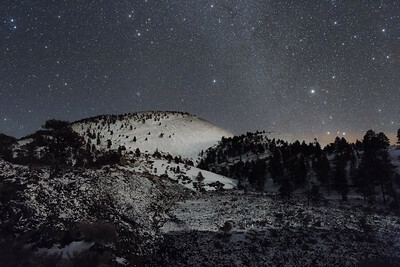 Moonlight illuminates fresh snow at Sunset Crater National Monument while the stars of the Winter Milky Way sparkle overhead. 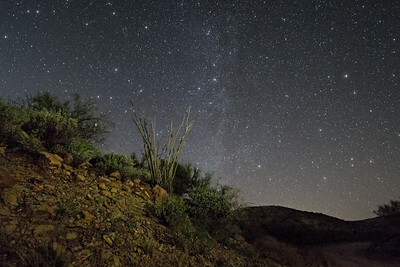 Ocotillo and starlight from Table Mesa Road north of Phoenix, AZ. 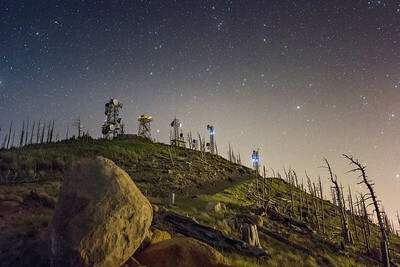 Starlight and the lights of Flagstaff illuminate transmission towers and fire tower at the summit of Mt. 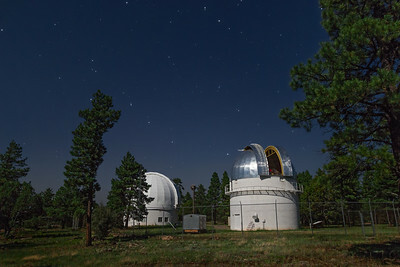 Elden. 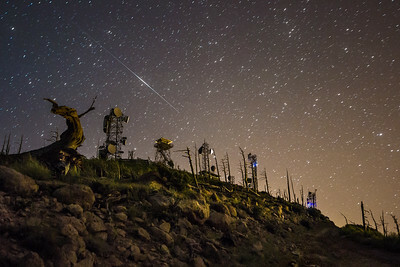 A satellite flare leaves a trail over the towers at the summit of Mt. 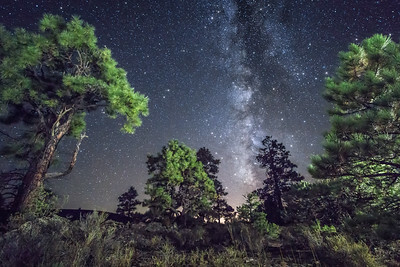 Elden. 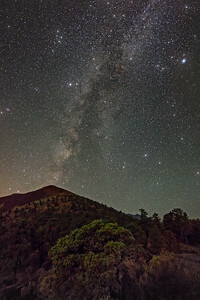 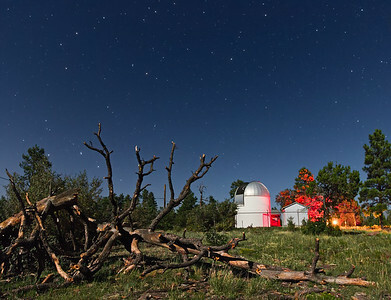 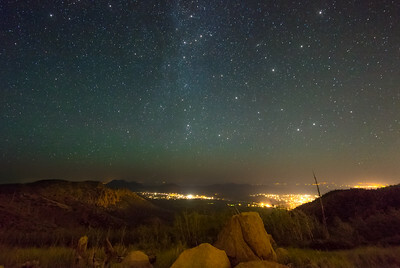 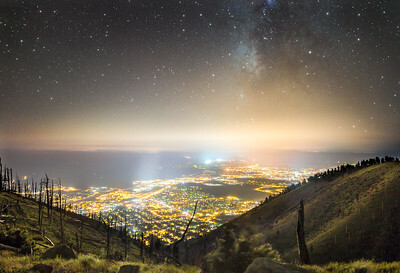 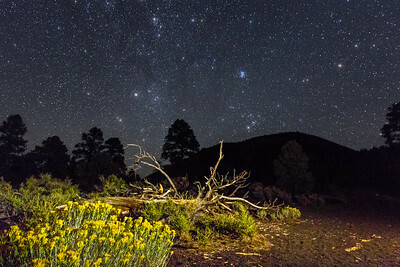 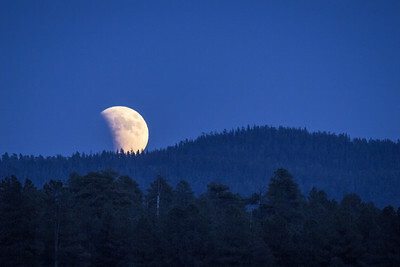 The terrain and sky are illuminated by the lights of Flagstaff below and to the right. 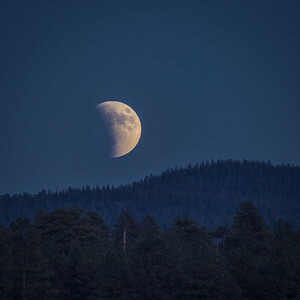 30 June 2017. 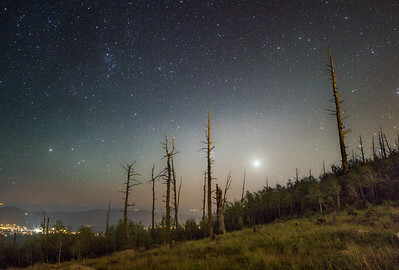 Venus rises amid patchy air glow over burned snags at the summit of Mt. 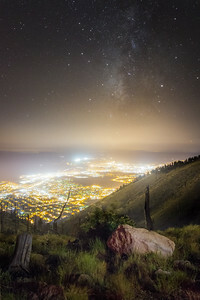 Elden. 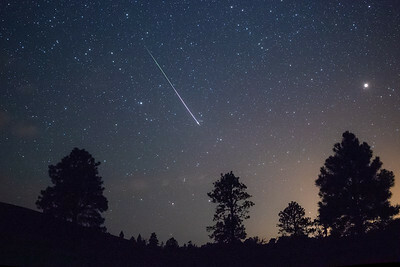 30 June 2017.